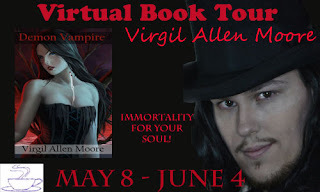 Virgil Moore's Demon Vampire asks the question, if given the choice to have power, grace, and immortality at the cost of your soul, what would you do? What if the choice was easier than you think? Small incremental segments of you childhood for a boost in strength? The ability to protect your loved ones for the corners of your mind that you don't often use? Regeneration for the traits that make you who you are? If faced with a grave decision of morality, what would you choose? Fear swept him, his choices were not sovereign. His gut knotted in indecision. The hot blanket of seduction that had cloaked him was convincing. It was generously welcoming. He hesitated, not knowing the demon's destination or his own. He could feel his soul slipping, a grip once tight, now failing him. “Let it happen, give yourself to me. All you ever have to do, is acknowledge me. Your soul will satisfy my desires, my requirements.” The voice was commanding. It spoke as a god dwelling in the recesses of his senses. It continued. “Rip, tear, rend, and swallow the blood like milk.” The demon inside beckoned with a sadistic suggestion. He was unsure, the deal was tempting, even acceptable in a sick flight of fancy. The power was enthralling. His confliction was disturbing, he was not a murderer. He knew as much, as he doubted his own integrity. It was tempting, wet in his mouth, keen on his fingertips. Absolute strength on a level unrivaled. The knowledge that no other being would ever be able to contest him. It was a spectacular promise. It was seductive. Virgil Allen Moore has been writing for seventeen years. He began as a poet and eventually turned to long fiction. In his words "My pen wields visceral morality as I write. I use my poetic knowledge to woo and satiate the minds of the world." His books are written for their vivid imagery and well defined storytelling. He blends old world refinement with a modern feel in a way that gives strength to the core of his novels. With his books, you are left not just with a sense of accomplishment, but a moral choice. The reader has choice over how they feel through the story. The ordeals of the characters are transmuted to the reader, lending a direct sensation of emotion that only the best novels can evoke. When you read his words, you will be rewarded. 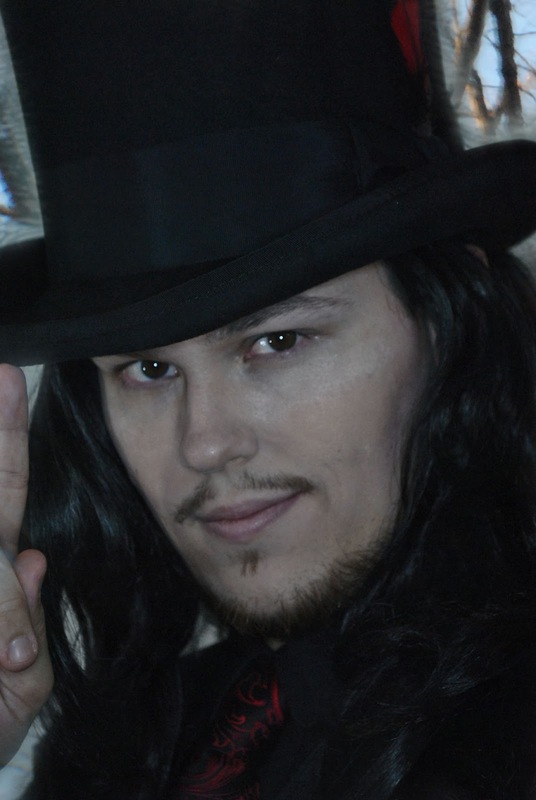 As he says, "If you enjoy vampires, you will be enthralled by mine."